Title taken from verso of photograph. 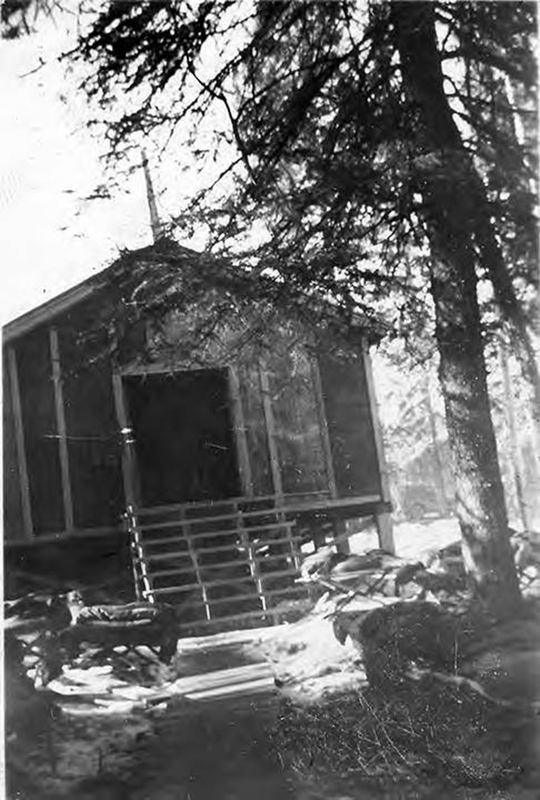 The number three barracks for the construction camp, possibly Camp 95. Several cots sit on the ground loaded with blankets at the base of the stairs leading to the open door of the barracks building. The photographs in this collection came from a U.S. Army soldier with Company G, 477th during World War II. The unit supported U.S. Army Corps of Engineers and civilian personnel constructing the Alaska Highway; serving on the southern section of the highway, between Dawson Creek and the Sikanni Chief River in British Columbia. Thomas Saplak photographs, Archives and Special Collections, Consortium Library, University of Alaska Anchorage. “Number 3 barracks,” Archives - Omeka, accessed April 21, 2019, https://consortiumlibrary.org/archives/omeka/items/show/845.